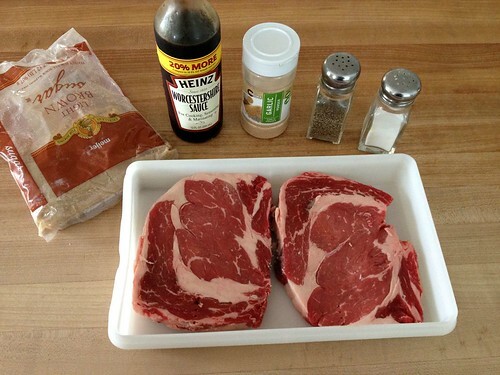 Since it’s summer, since Dave has been doing lots of grilling while I’m on “maternity leave”, and since we’re kicking off another weekend, I thought it was appropriate to share one of my favorite, SUPER simple steak marinades. It only requires a few very basic ingredients, it tastes great on almost any type of steak, and (best of all) if you’re not planning ahead, you only need an hour for this marinade to flavor your meat! One of the reasons I love this marinade (besides the fact that it’s so quick and easy) is because I love the hint of sweetness from the brown sugar. 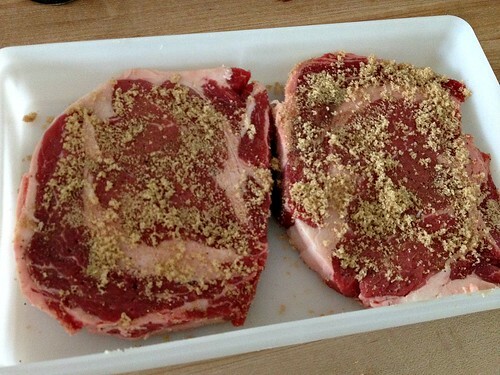 It makes a crunchy caramelized coating on the outside of the steaks that is so yummy. I didn’t list a grilling time above — and that’s because it depends on how thick your meat is and how “done” you like your steak. However, I recently found this handy cheat sheet that has been helpful for us. Also, if you’re looking for a REALLY good, REALLY simple pork marinade, this one is my all-time favorite! And for chicken, my go-to marinades are either Italian dressing or honey mustard. So what are you waiting for? Pick up a few cuts of your favorite meat from the grocery store and start grilling! 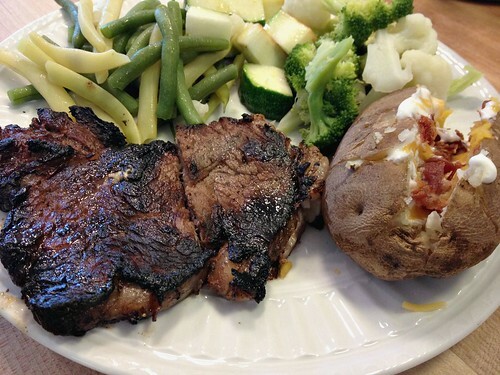 What are your favorite meat marinades? An Easier Twist on Our Favorite "Chicken Packets"
My favorite marinade is from a cookbook called Eet Smakelijk . It’s called “Charcoaled Chuck Roast”. 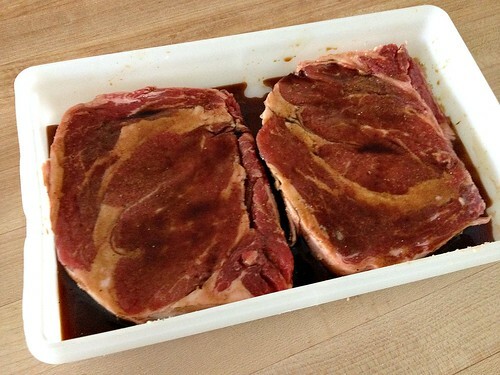 While the recipe calls to use it with chuck roast slices, we use it to marinate steak or chicken. 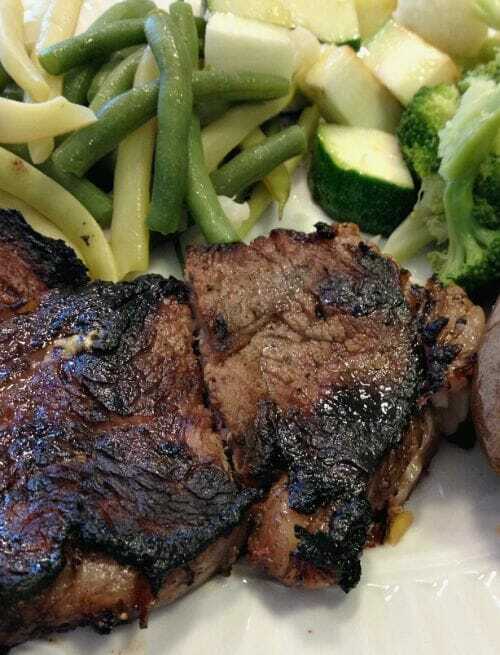 Even flank steak is excellent ! 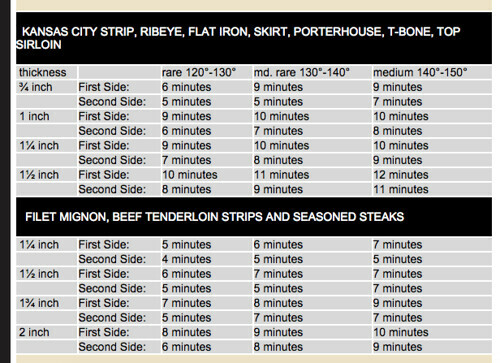 I prefer to marinate overnight, but 3-4 hours is enough if you are running short on time. If I buy marinade from the store, we love Sweet Baby Ray’s Honey Teriyaki marinade on our chicken. Oops! I forgot one ingredient–1 1/2 cups water.